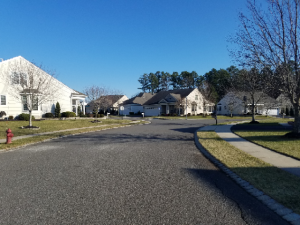 Find your new home in Heritage Point, an active adult community in Barnegat, NJ. 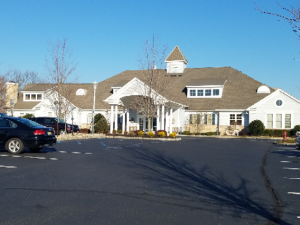 Heritage Point is an Over 55, Active Adult community located in historic Barnegat Township, NJ in Ocean County. Barnegat has a rich heritage since it was one of the areas leading seaports,. Once upon a time, fishing, shipbuilding and glass making were the prominent industries. Today Barnegat has a Historic District with shops, antiquing restaurants and museums. Barnegat is in a good location because it’s on the Barnegat bay and has over 6 miles of waterfront, offering swimming, fishing, crabbing and boating. This non-gated community has 909 homes The homes in Heritage Point have either 2 or 3 bedrooms with 2 or 2.5 baths with a 2 car garage. Some homes have a loft, while some homes can also have a basement. Options on the homes include lofts, patios, basements, sun-rooms and more. One of the things that makes Heritage Point unique is that in fact, +-80% of the homes back up to open space. Twelve different floor plans were offered, with square footage ranging from 1,320 sq ft to 3,075 sq ft. New construction is no longer available, however, quite often resales are available..
Heritage Point offers 2 clubhouses. Amenities offered are a sauna, exercise facilities, tennis, bocci (Hey – does anyone actually know how to spell this?). Additionally, there’s a putting green, walking and bicycle trails and more. Also, you’ll find there are tennis courts, a grand ballroom and much more to fit any lifestyle. From Tennis, exercise room, Sauna , Bocce and so much more. And whether it’s warm or cold, you can swim in either the indoor or the outdoor pool. 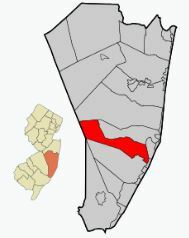 But the best part is that is the heart of it all located near LBI, shopping, medical centers and Atlantic City.